When a dream took shape in the mind of a creative and visionary entrepreneur Mr. Gajendra Pawar, it was natural that he chose the hill top of Chandani Chowk in Pune to realize it. Pinnacle Gardens, the brainchild of Mr. Gajendra Pawar not only became a solid support, but also laid the foundation of what was to later become a creative and progressive business organization. The humble beginning was Pinnacle Gardens, which proffered a rich experience in the planning and development of a construction site. This much appreciated maiden creation brought in the self realization about the depths to be reached and the heights to be scaled. He found a route, real estate, to channelize his passion for creation. In 1996, Pinnacle Constructions was launched. Their very first scheme in the heart of the city, Pinnacle Apartments was a success. The old, traditional ‘waadas’ in the heart of the city were transformed into modern, space efficient residential structures. 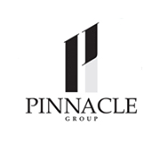 In a short span, Pinnacle had completed more than 25 re-development projects with more than 700 satisfied homeowners. This unprecedented growth was empowered by the quintessential Pinnacle values, innovation, flawless master planning, precision and persistence. It is a less travelled path but we tread on it with a purpose and we revel in our solitude. We believe in long term associations and nurture warm bonds with our customers. Our dedicated and professional team crafts every home with meticulous attention, precision and perfection. Innovation is at the core of the Pinnacle philosophy. We insist on being exclusive. Our homes are loved by those who reside in them. That's what delights us the most. At Pinnacle, we strive to enrich minds and enlighten the world around us.